Holiday giving is almost here! And there’s good news: Online gifts are going up and up. 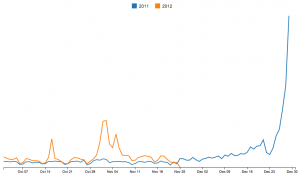 Gifts online the week of Thanksgiving surged 61% over last year. Hurray! Who knows how many billions will be coming in the door for lucky nonprofits in the next month! And 40-60% of the gifts made online will come in the last two days of the year. Don’t forget that online donors are wealthier, higher-dollar and younger donors. 1. They want to feel connected to your cause. In a recent Convio study, 74% of people said they responded most to emotional solicitations that provide info on the people, animals or places in need of their assistance. So get yourself and your organization out of the way. Don’t ask for your organization, instead ask donors to help the animals, trees, kids, sick people, students, artists, whoever you are serving and helping. As I like to say, “You gotta play that violin” and stir up their emotions! 2. They want to know where the gift is going. 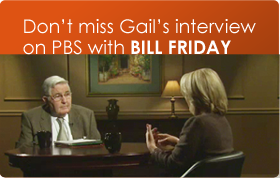 They want to know exactly what their gift is accomplishing – and the impact it will have. Lay it out clearly and don’t mess around. Recap your outcomes and accomplishments for the year, and let them know what’s next. Be specific. The more tangible your ask, the more money you’ll raise. 3. They want give holiday presents that will support your cause. Help your donors make gifts, and offereasy shopping for nontraditional gifts. Last minute holiday gifts for gift memberships. Avoid the crowds – buy from your shop on line and ship to those on their gift lists. Send holiday e-cards for donors’ family and friends – a green alternative that can promote your nonprofit AND carry a donation to your cause. 4. They want to be reminded. It’s ok to remind your loyal donors about the need and how they can help. They’re busy, busy, busy. And repeating your appeal is always more powerful and successful than a single ask that goes out as a stand-alone effort. Pamela Barden in Fundraising Success Magazine says to be sure you have a short e-mail that arrives in the in-box early on Monday morning, December 31. And all donors have a different vision of how they want to help you and how they want to give. So be sure to offer them a variety of ways to support you. GIve them different giving opportunities all tied to specific, tangible results your organization achieves. 6. They want a fast uncomplicated check out. Remember that a majority of would-be donors never make it through the process to complete their gifts. Some stats show that 98% of visitors to an organization’s donate page do not complete their gift. Make it easy for impatient online donors who are in a hurry. If you make it difficult for them, they’ll be gone – probably to another nonprofit’s site. Make your donate page seamless and easy to whiz through. And take a look at these examples of great donation pages. 7. They want back up data on your results. Be sure your web site is up to date and conveys credibility. 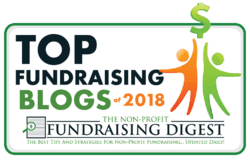 Remember that over 65% of ALL DONORS will probably check out your web site before they write a check or make a gift, according to Kivy Leroux Miller of nonprofitmarketingguide.com. These strategies will help you bring in lots and lots of online gifts. Before you know it you’ll be zooming past your fundraising goals for year-end! 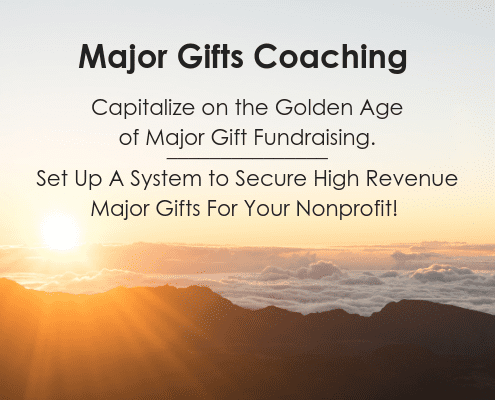 Happy prospecting and may generous donors flood in to your site and your cause! And may you breathe deeply and enjoy this holiday season.